Customer feedback was a "very useful source" of information, when Sony made its hardware decisions. 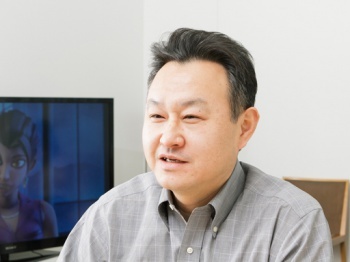 "It's not that our hardware policies are decided strictly based on user reaction like this," says Sony's Shuhei Yoshida to Famitsu magazine, "but when we were thinking about what we had to bring across and how to bring it across, it was a very useful source." The furore over Microsoft's apparent restrictions on user rights was bad enough that the Xbox One became the Xbox One Eighty, and now Yoshida admits that this same reaction shaped Sony's PS4 policies. After seeing what happened to Microsoft, Sony knew that the best way to appeal to the potential PS4 audience was to do the opposite of the Xbox One, and leave user rights strictly alone. "For this system, we made a list of what people expected from us," added SCE Japan Asia president Hiroshi Kawano, "debating over each point, with user feedback forming the main basis for the list." It helped that the software makers were firmly on board, telling Sony that some really cool stuff could be made for the PS4. "A new platform always provides the basis for new forms of play," Kawano adds, "so I'd like to see it connect to a revitalization of the marketplace." Not that long ago Sony's Guy Longworth said that Sony didn't believe gamers wanted digital only purchases "right now," a popular move after Microsoft's aggressive support for digital distribution, and now Yoshida's admitting that customer feedback - particularly the Xbox One negativity - shaped the PS4's policy development. A console manufacturer willing to pay attention to the realities of the marketplace, and to customer demand? Intriguing.